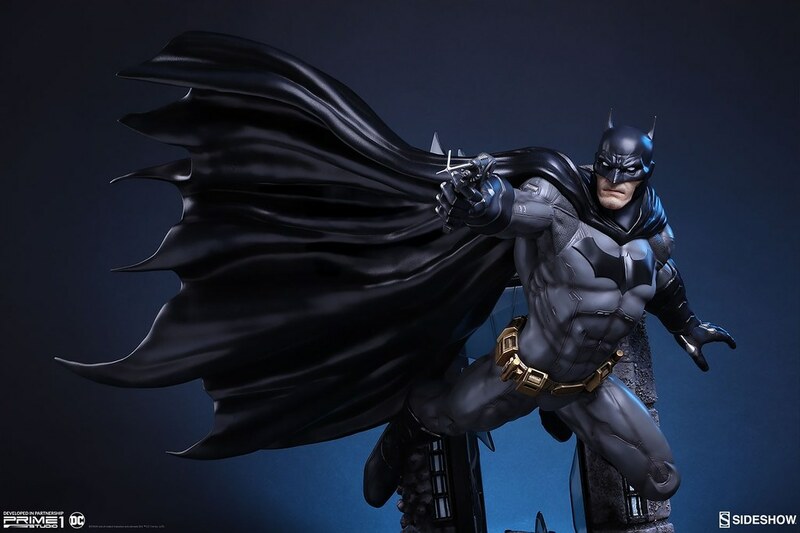 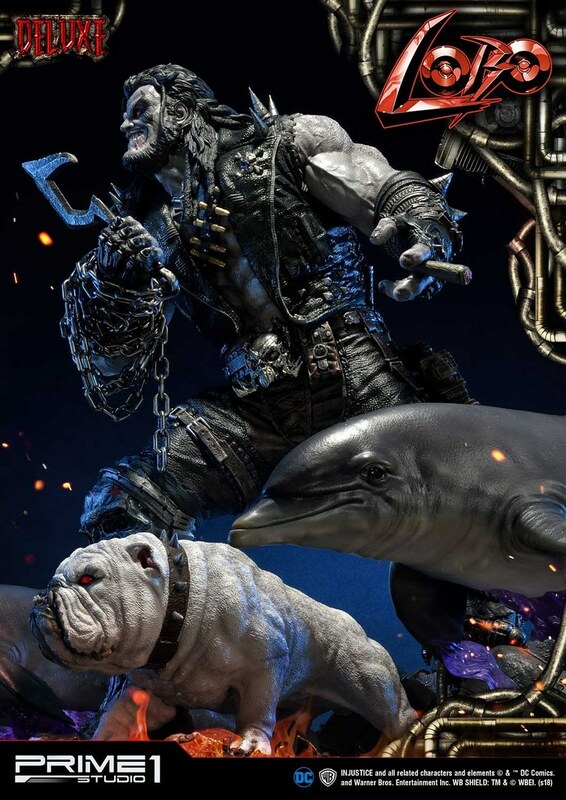 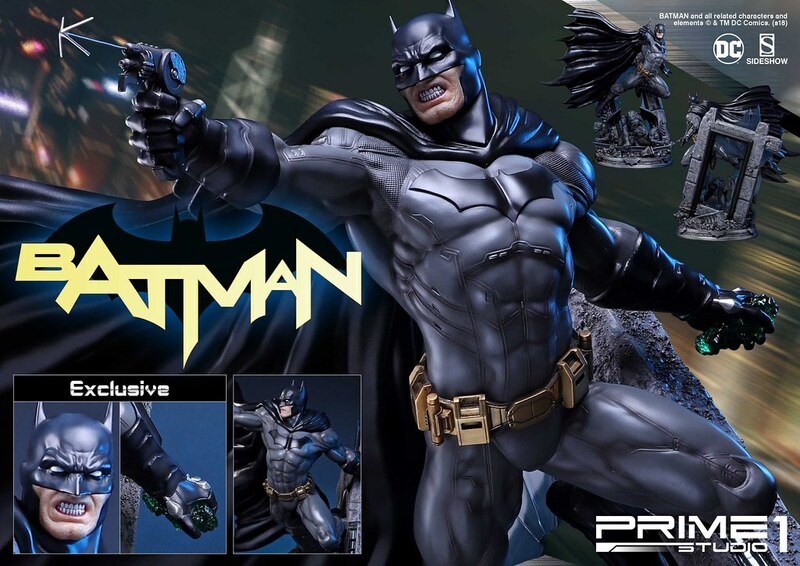 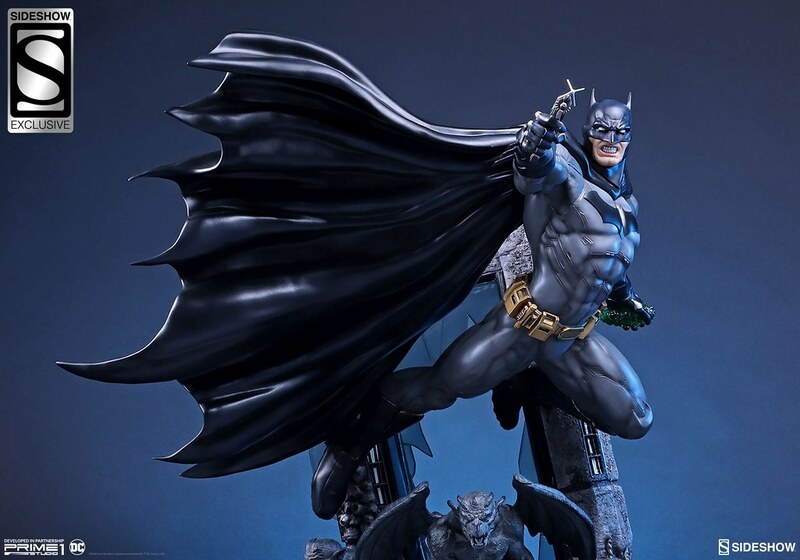 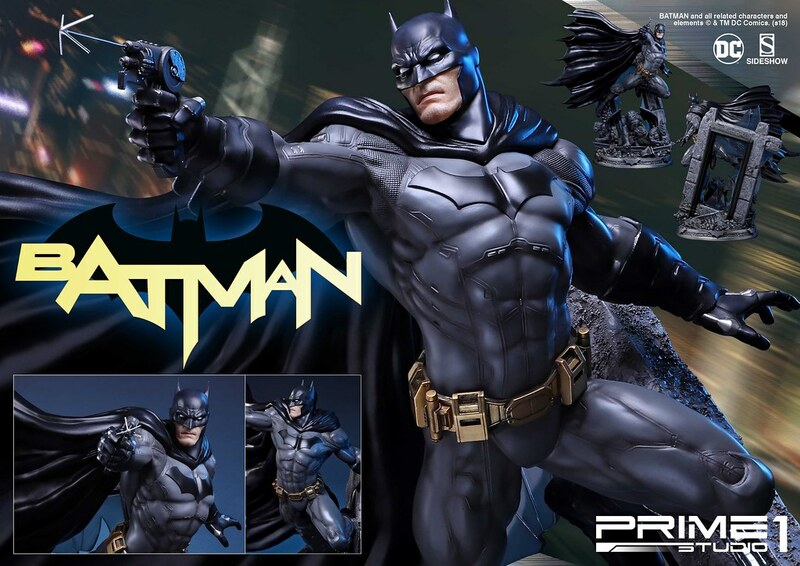 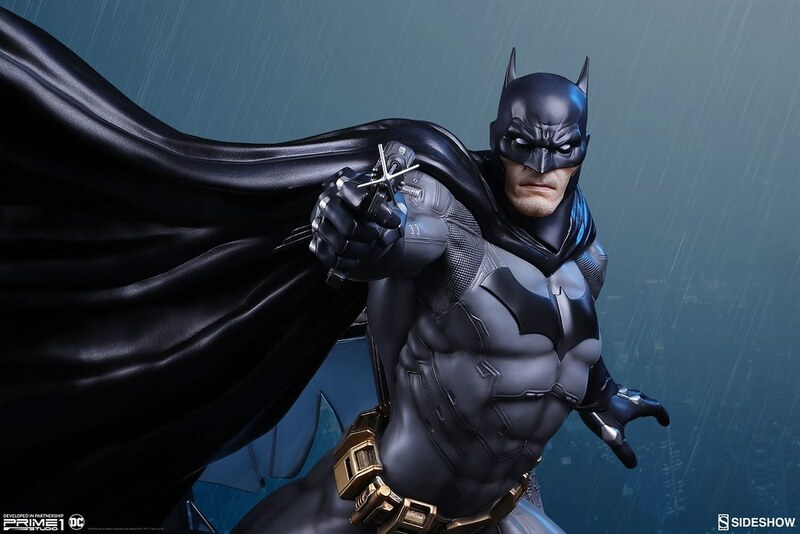 After releasing Darkseid, Flash, Cyborg, and Wonder Woman statue, Japanese high-end statue brand, Prime 1 Studio is collaborating with Sideshow Collectibles to create the New 52 statue series and recently announced Batman 1/4 Scale Statue, estimate release Q4 of 2019. 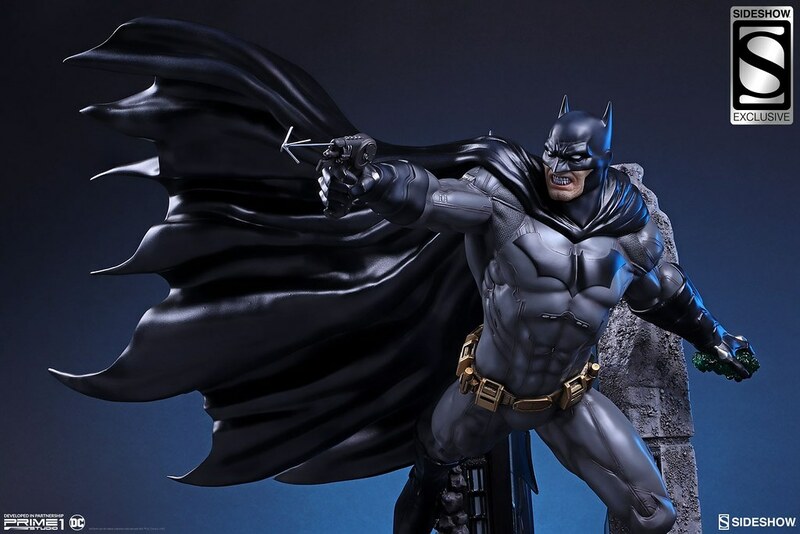 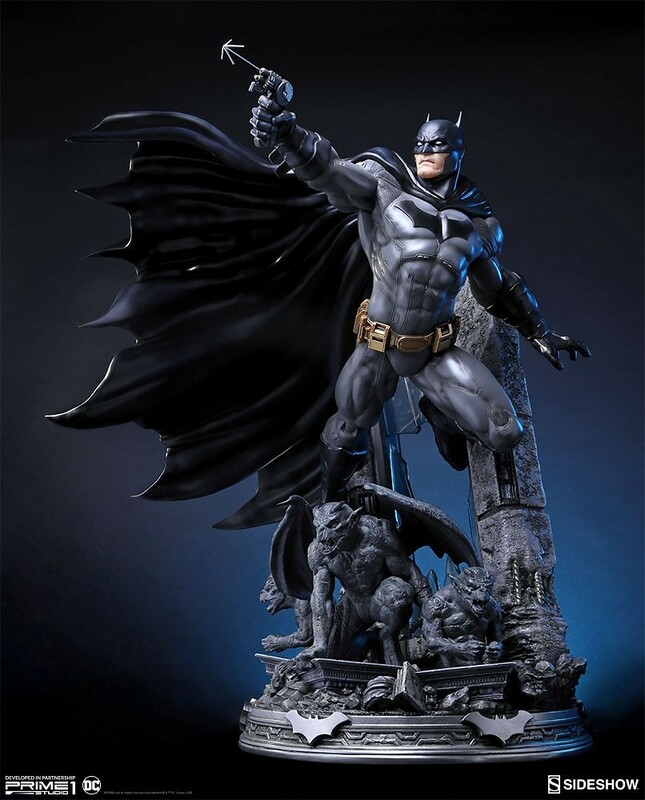 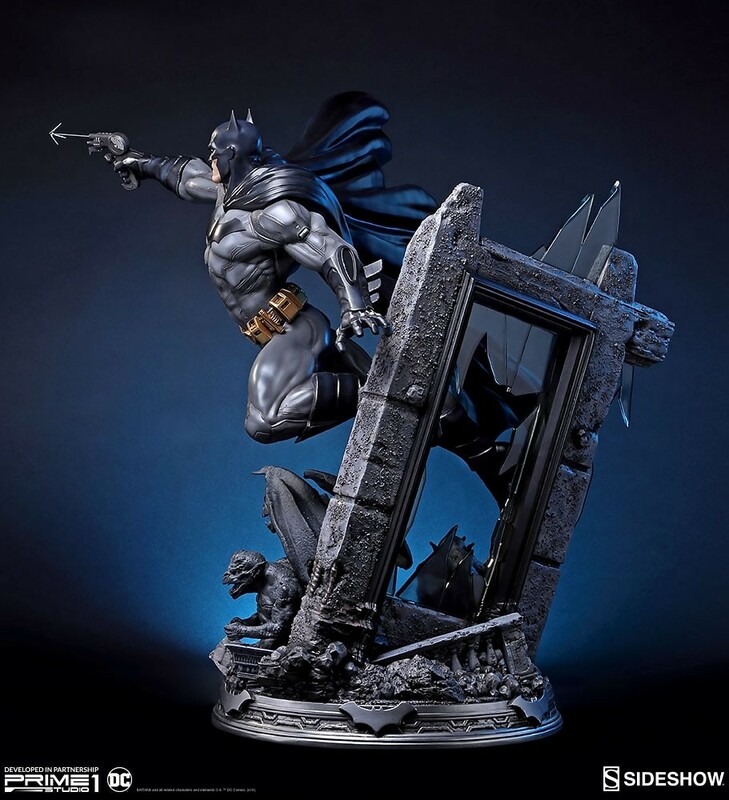 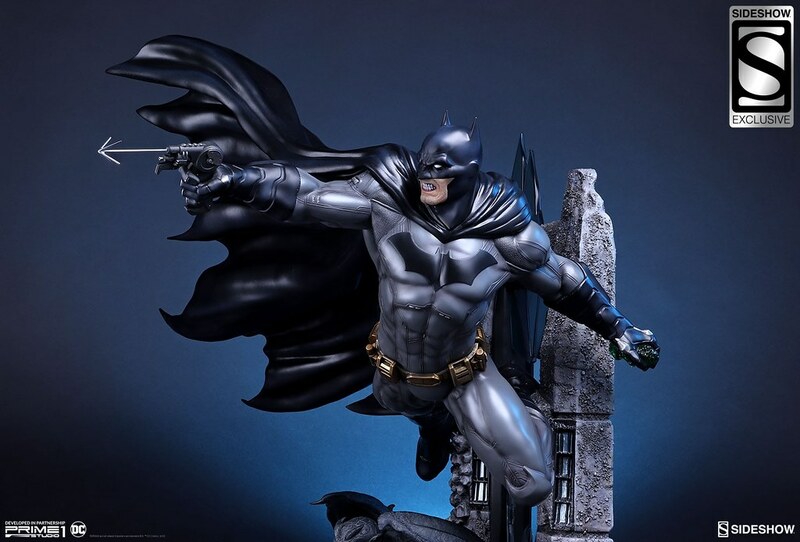 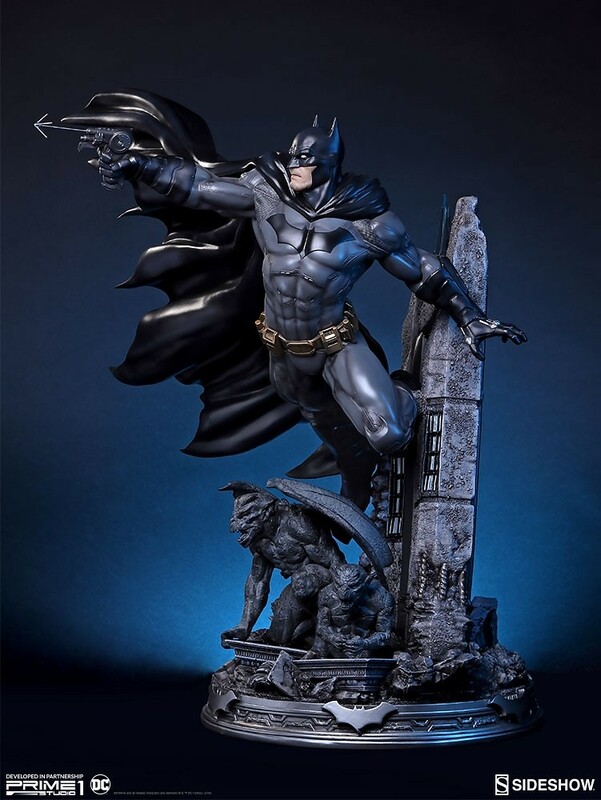 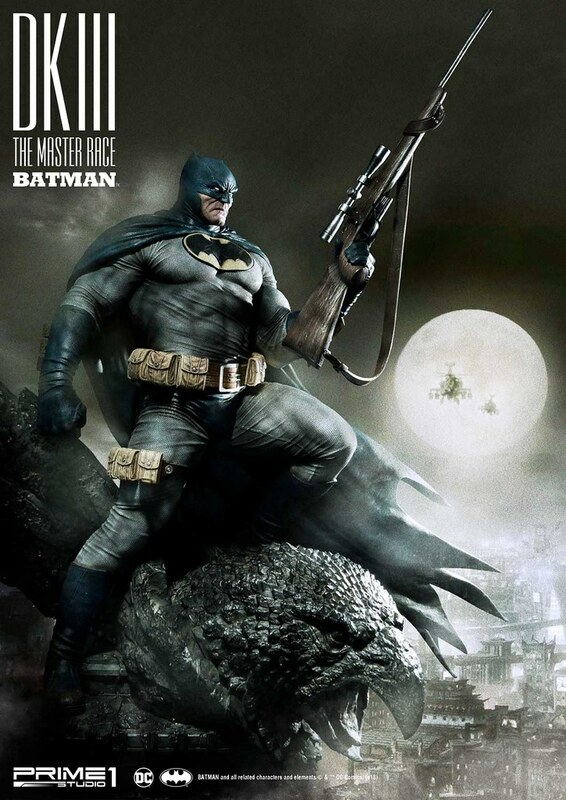 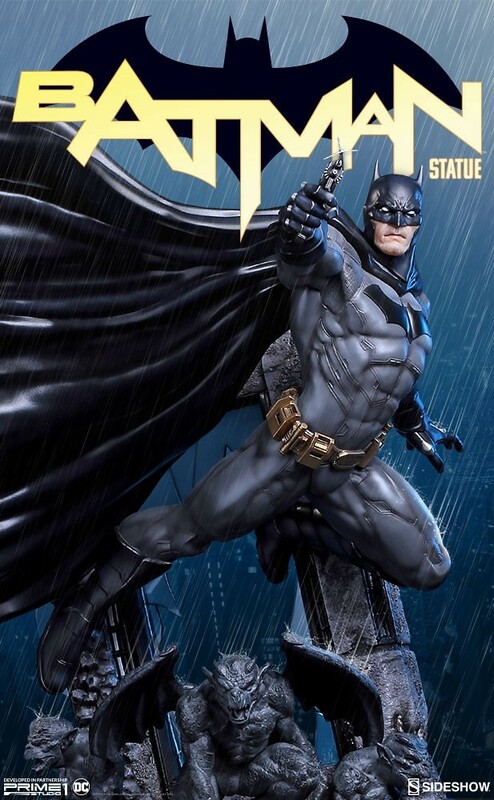 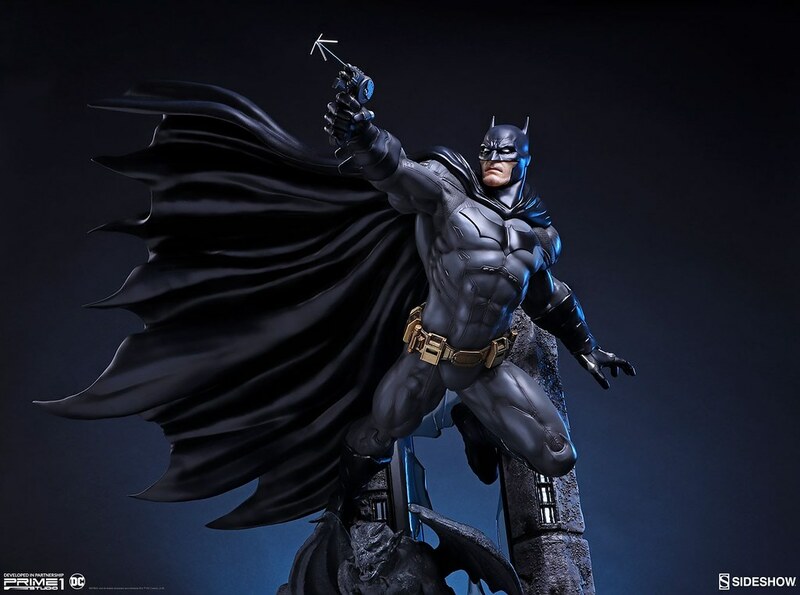 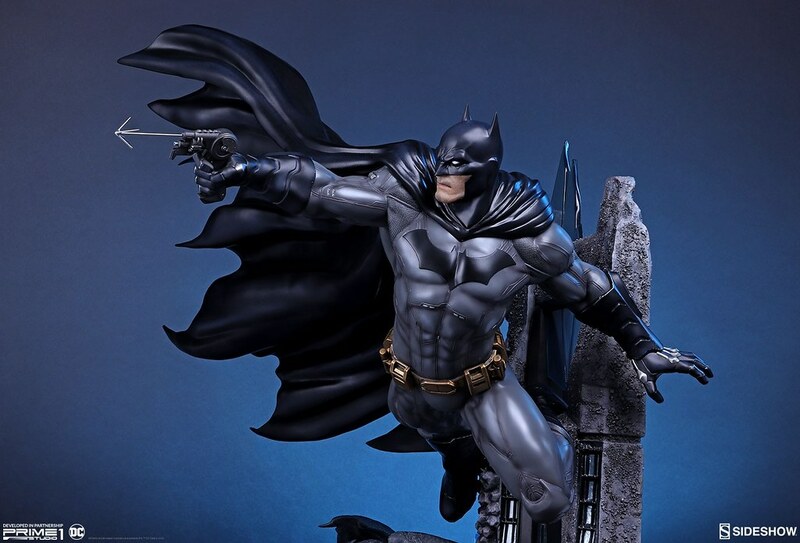 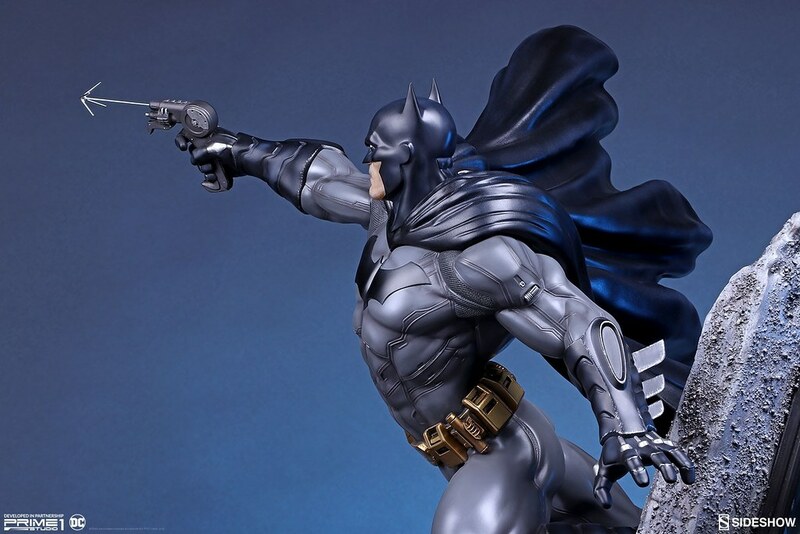 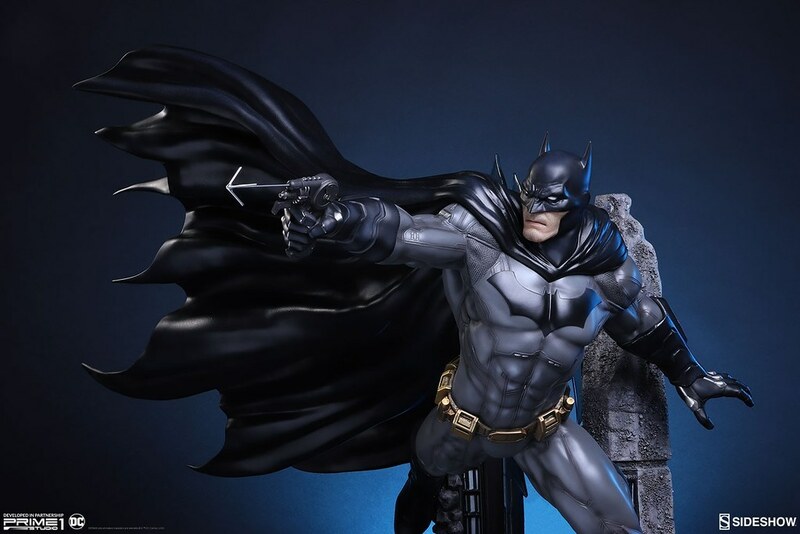 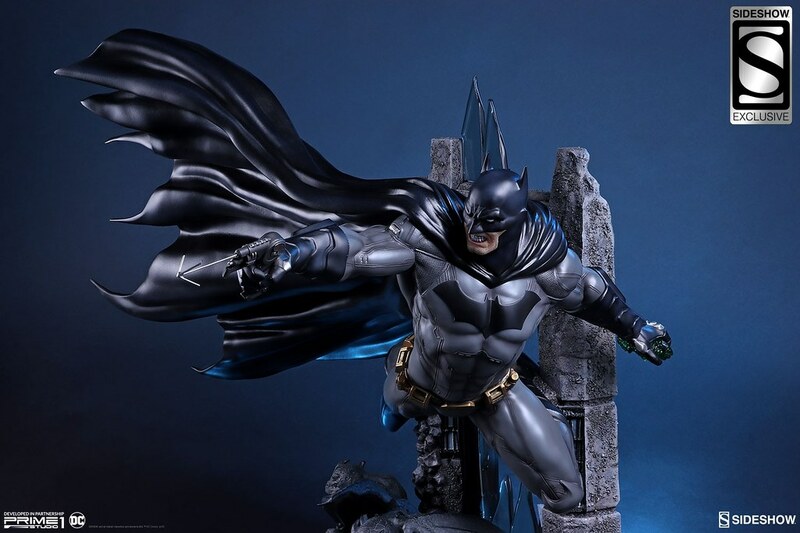 Batman 1/4 Scale Statue stands 28"(71cm), based on the comic's design, actualize Batman firing his grappling hook. 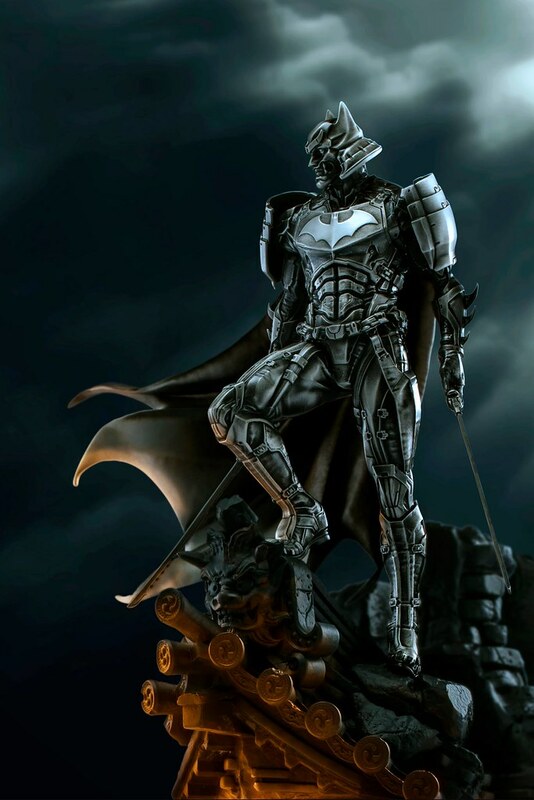 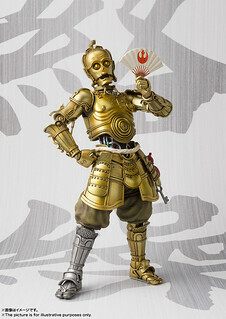 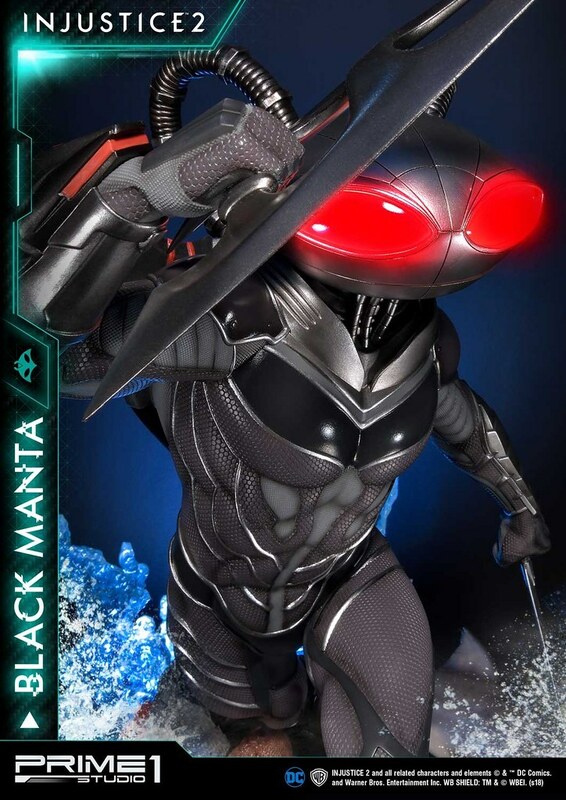 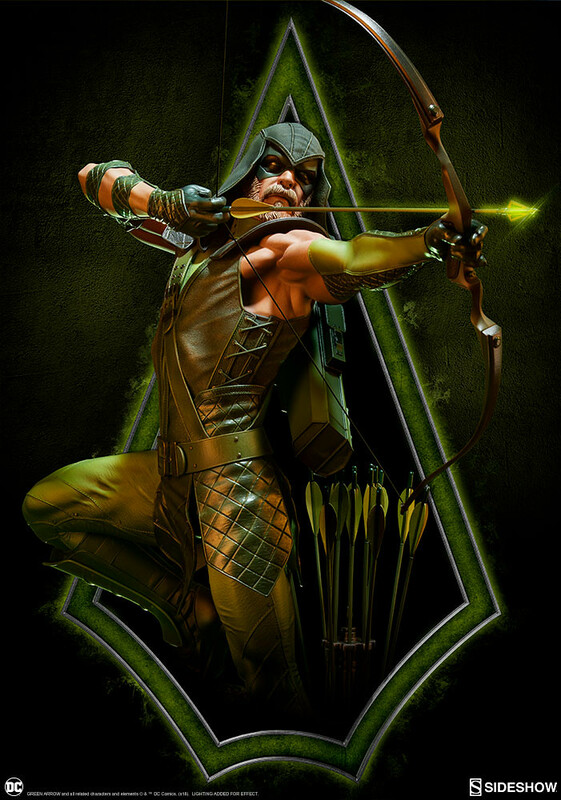 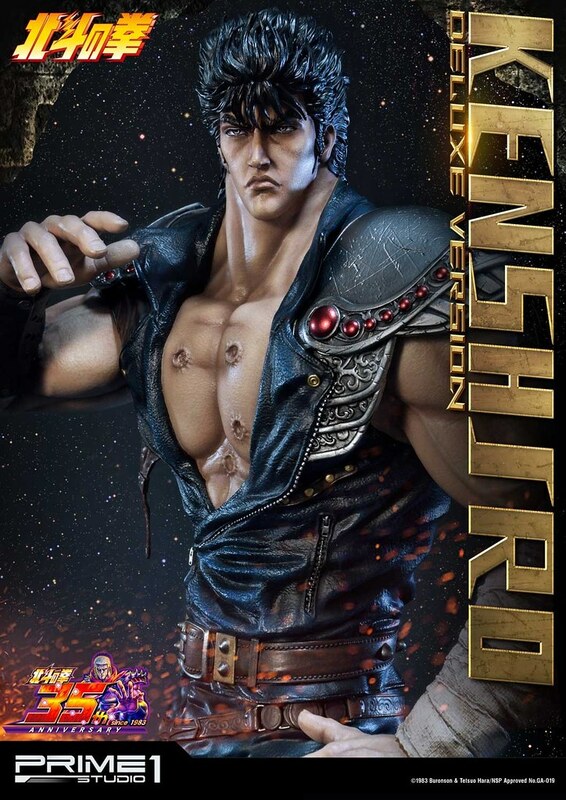 His detailed combat suit pattern and folds, metal belt, and fit body cover in tighs radiate human peak performance. 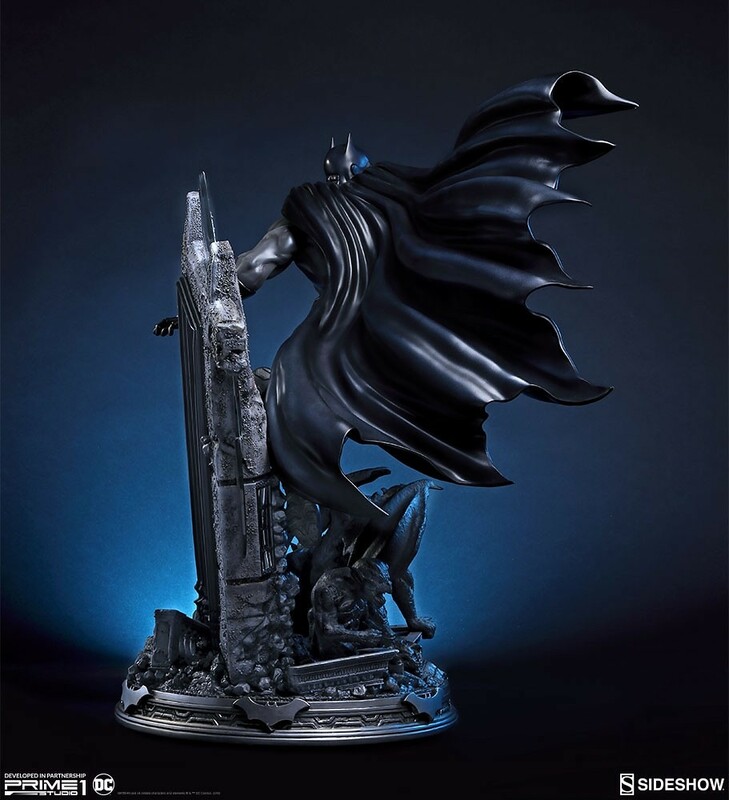 The flying cape only has a strong visual effect heightening the tension of the piece. 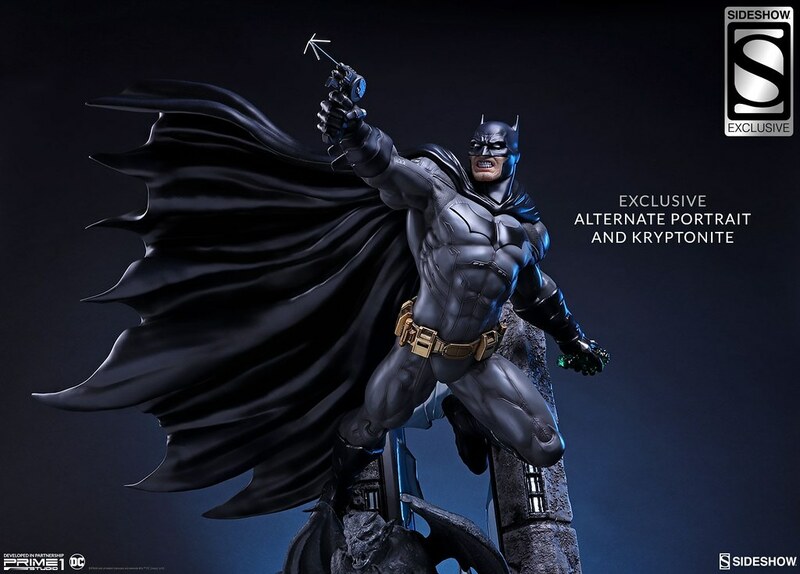 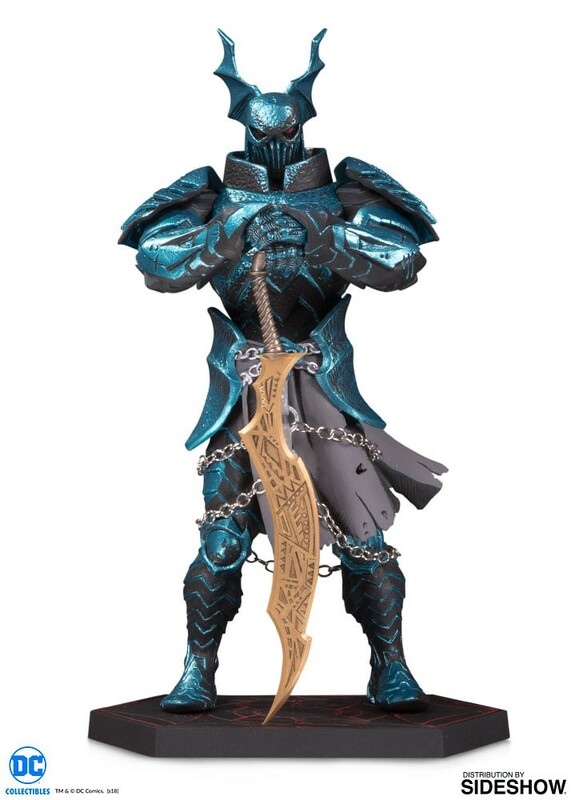 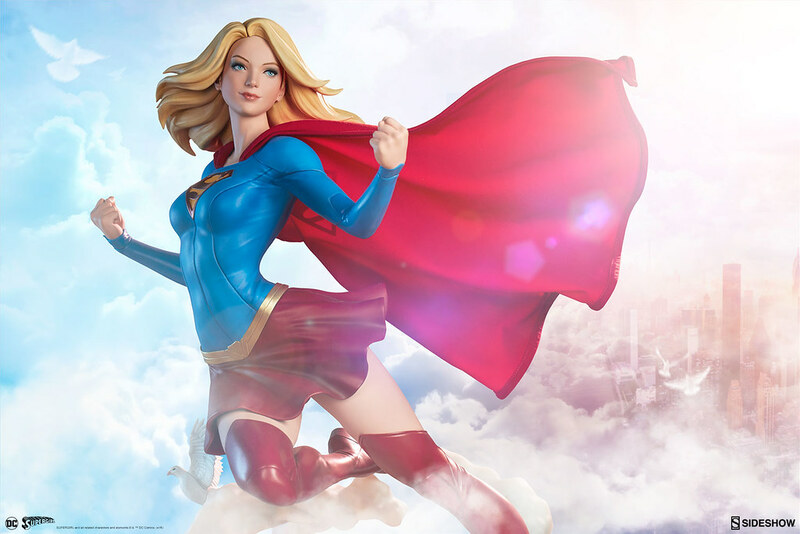 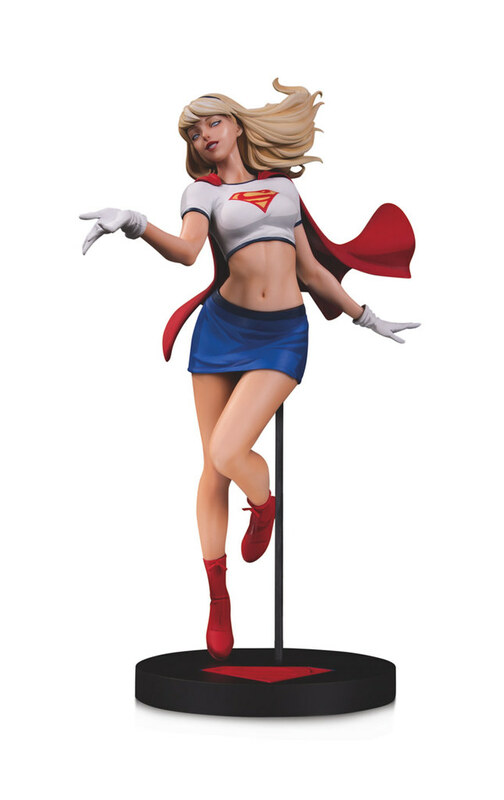 The exclusive edition includes grid teeth exchangeable head sculpt and left hand holding Kryptonite. 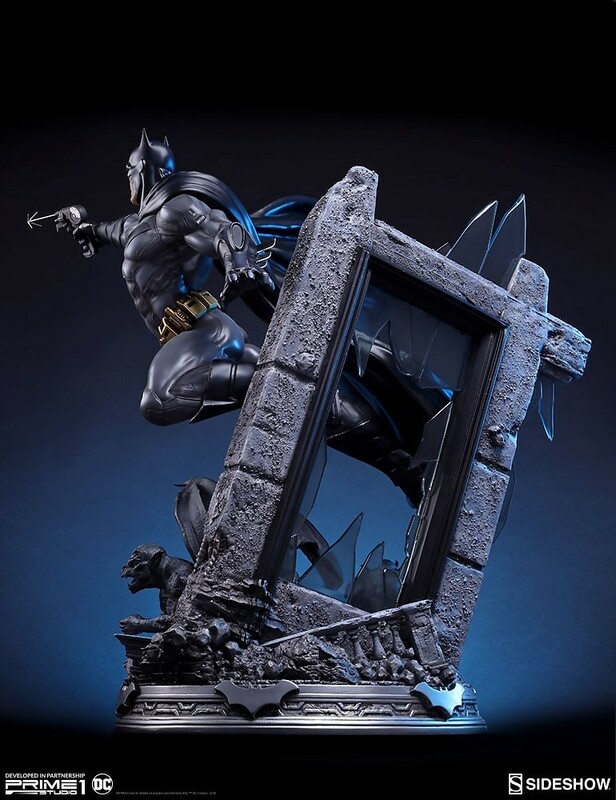 The base is made of abandoned buildings, with broken windows slantly leaning with the concrete frame. 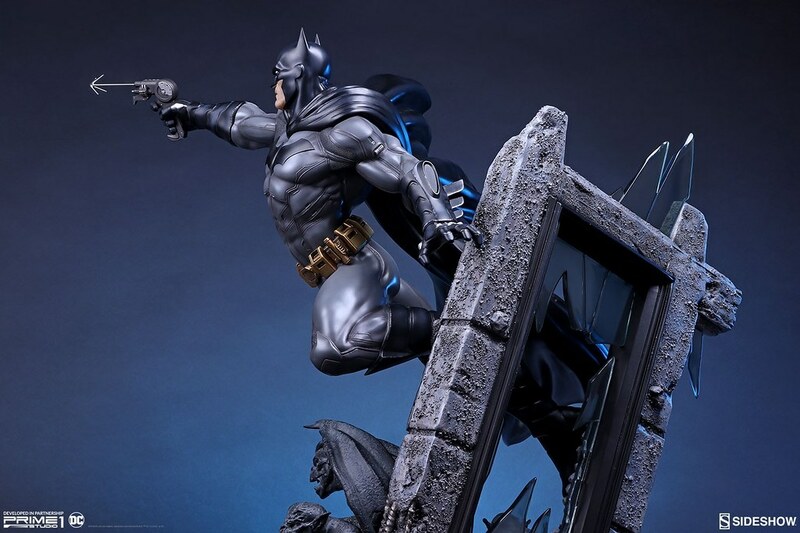 Gargoyle and wall are finely painted, mimick pebble's rough, dusty texture. 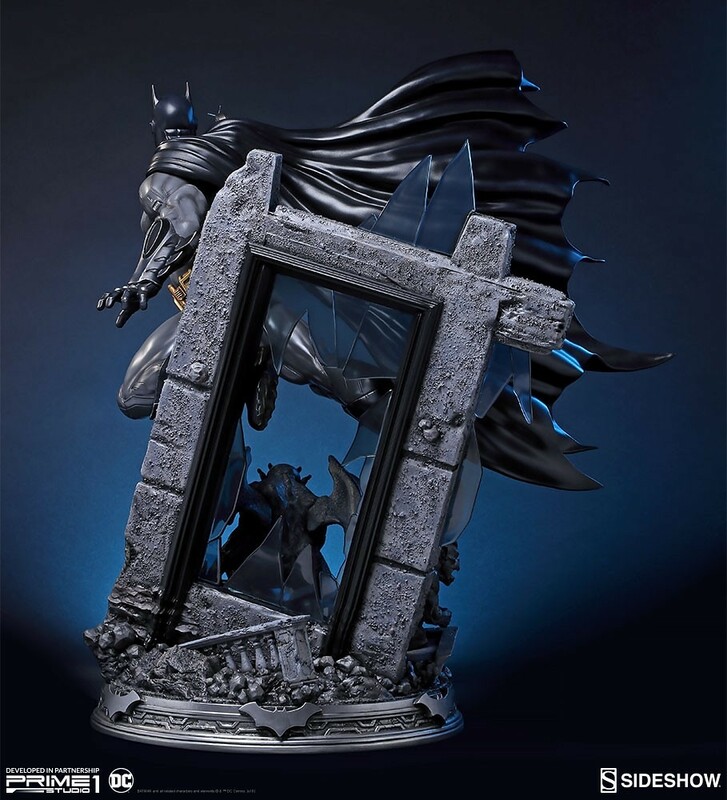 The base even has Batman's insignia on it, this awesome piece has delicate detail in its daring scale. 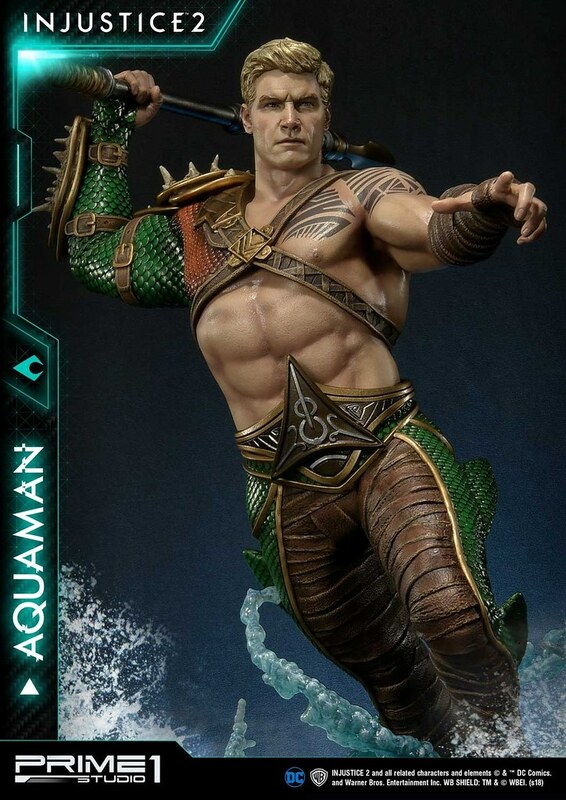 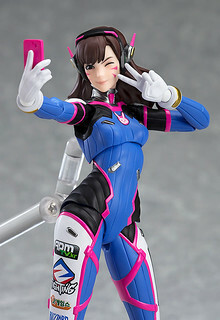 Estimate release date: Q4 of 2019.